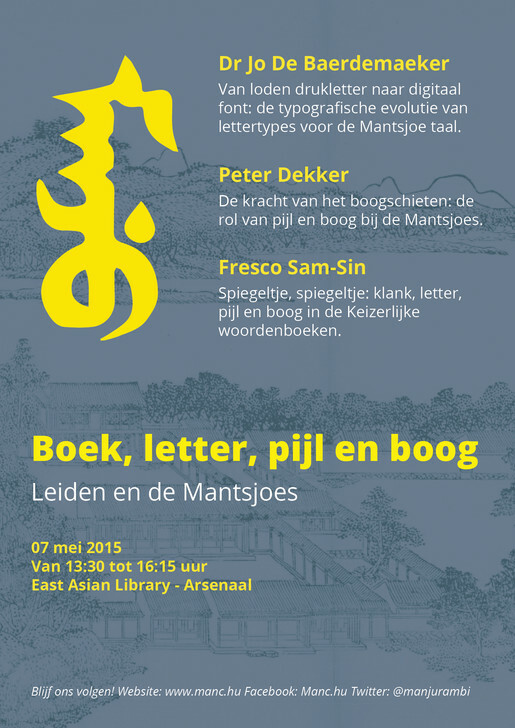 On 7 May 2015, I will be giving a talk on ‘The typographic evolution of typefaces for the Manchu language‘ in the East Asian Library at the Sinology Department of the University of Leiden. The talk will cover the origin, the evolution and the use of Manchu typefaces. Supported with original and rare images –taken at the archives and collections of renown typefoundries, printing houses and libraries in Europe, Mongolia and Russia–, I will illustrate why it is necessary to investigate previous typesetting technologies and to analyze the typographic qualities of Manchu typefaces in order to find solutions for designing and developing new digital Manchu fonts for contemporary use.